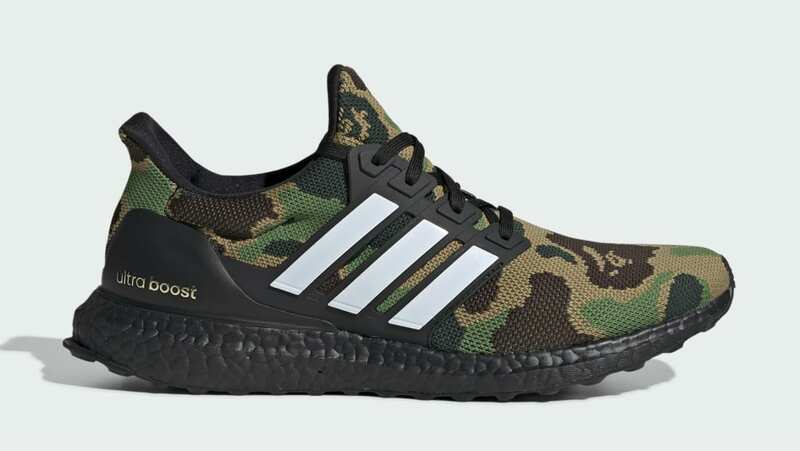 Adidas Bape x Adidas Ultra boost "Green Camo"
Bape x Adidas Ultra boost "Green Camo"
Part of a two pack, the Bape x Adidas Ultra Boost "Green Camo" will feature Bape's signature camo print on the Primeknit upper sitting atop a blacked out Boost cushioned midsole. Release date is Feb. 2, 2019 at a retail price of $200. News Bape x Adidas Ultra boost "Green Camo"